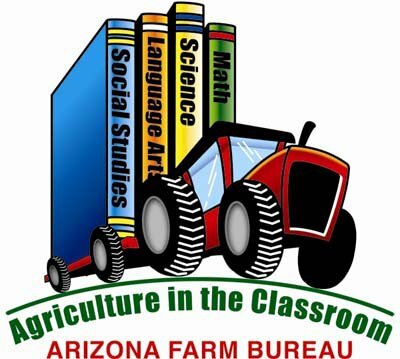 Arizona Farm Bureau’s Ag in the Classroom is back in the classroom! Here are some upcoming and new programs for the 2016-2017 school year. AITC offered a free 30-minute classroom presentation for grades K-2 across the state. The presentation includes the story All About Pumpkins and includes a hands-on pumpkin life cycle activity. The first 500 teachers already signed up for the event and received a free book they can add to their classroom library! While this literacy event is full watch for two more events this school year! Farm Friday Fun with Arizona Agriculture is a year-long program that allows classrooms to explore a different Arizona crop each month. Teachers are provided with information about the crop, a profile of one of Arizona’s Farmers and a lesson plan on that month’s crop. The program is FREE. In cooperation with Hickman’s Family Farms, a proud sponsor of the Arizona Cardinals, AITC brings you From Farm to Football. This exciting program will allow students and classrooms to learn how agriculture is all around us, even on the football field! Participating classrooms will receive a poster and video messages from David Johnson, running back for the Arizona Cardinals. Each month classrooms will learn about one of the agricultural commodities that plays a large role in our everyday lives on and off the field. Students will pen pal with Arizona farmers and learn how the farm makes its way to the football field. The program runs October 2016 – January 2017. To sign-up your classroom for any of these programs, contact Katie Aikins at katieaikins@azfb.org or 480-635-3608. This entry was posted in Ag in the Classroom, Arizona, Contests, Fall, Kids and tagged Ag in the classroom, agriculture, Children, Education, kids, School. Bookmark the permalink.